Yeah, after a couple hours of hard work, the site is out. Our awesome backstage team here at Crew 12 have filmed, edited and now released a short film that describes the journey to this year’s crewsite. It mostly focuses on the filming part, which obviously isn’t all (trust me, there’s a hell of a lot of actionscript behind it too! ), but if nothing else I hope you understand the scale of this project by checking out the movie. A couple more days. Mark monday the 19th in your calendar. 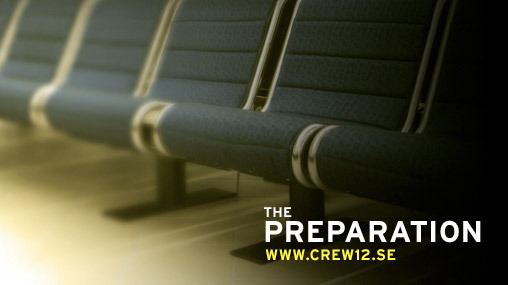 The 6th and final Crew 12 teaser called “the preparation” has been released. So, now there’s just two weeks to the final release. Exciting, isn’t it? Yeah. It’s a bit bulged. I’ve read about this happening to others too, but this is almost worse than other pics i’ve seen, the gap there is over 1cm! I noticed that my batterytime had gone down a lot a week ago or so. 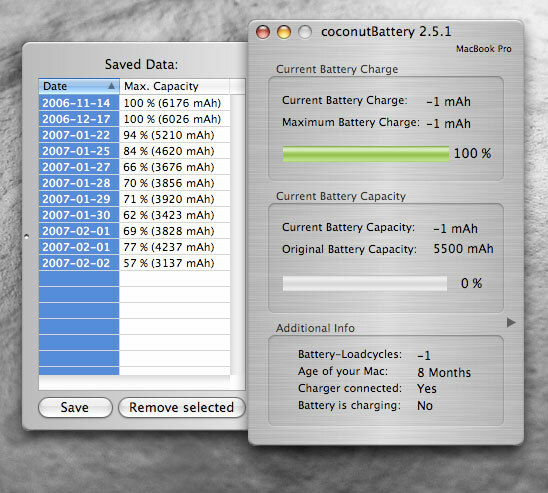 I checked my battery capacity with coconutBattery and noticed that the capacity had gone down to 94%. Ok, i thought, the battery won’t stay new forever. Checked a couple days later again and was down to 84%. Uhh..
A couple days later i noticed that the battery would run out of power really quickly, in 1:30 or so, much faster than before. I checkede the capacity with coconutBattery again and noticed it had gone down to 66%, in two additional days! This can’t be good.. After this i started checking the capacity daily. Today’s result was 57%, with 206 load cycles. Ok. Not good. The battery would die out in about 1:15, after being fully charged. The computer also shut down even if there was 80% power in the battery. Something was definitely wrong. So, i decided i have to call apple support, ’cause this can’t lead to anything good. That was yesterday. I’ll update when i can write a blogpost without being restricted by the AC cable. It’s a shame that problems like these come up. 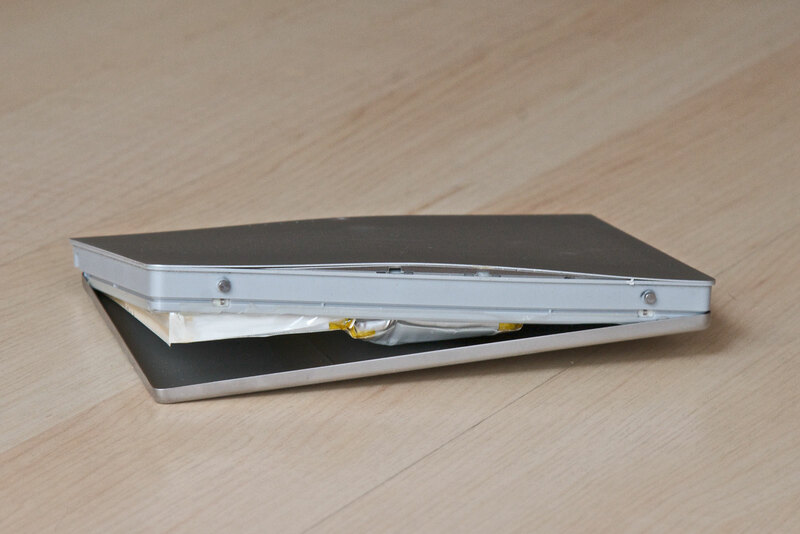 In general i really love apple’s products, but this .. well, this is simply not acceptable. Come on, you can do better than this! I got the new battery from Apple. I’ve got to say that they handled all that pretty well, no problems no nothing. A friendly UPS guy delivered the new battery to my home door. I could also say that the old battery is now about double the size it was when i took the images in this post. It bulged from the bottom too. Insane.. Well, the good part with all this is that I got a new battery, which is even better than the original one. According to coconutBattery the capacity is 6719mAh! Then again this could also be because it’s not properly calibrated yet, or something.. Happened again to the replaced battery. Kinda worried about the built in batteries in the new macbook pro’s..